Welcome to Year 4 Cedar Class! I hope that you have had a wonderful Spring break and you are excited to start the Summer Term. I have a lot planned for the term and can not wait to get started! In English we will start off by writing our own poems linked to Easter and new beginnings then following this we will be focusing on conquering the monster tale. All of our writing will link to our topic of cities. 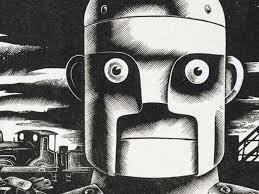 We will be using the talk 4 writing process to explore our next book – Iron Man by Ted Hughes. We will be focusing on using paragraphs in our writing as well as using conjunctions, adverbs and prepositions to express time and cause. We will be extending the range of sentences we use with more than one clause by using a wider range of conjunctions, including when, if, because, although. During this half term we will be exploring measuring and calculating the perimeter of a rectilinear figure (including squares) in cm and m. We will then be learning how to identify acute and obtuse angles and compare and order angles up to two right angles by size and compare and classify geometric shapes, including quadrilateral s and triangles, based on their properties and sizes. We will also tackle a wide range of problem solving and reasoning questions throughout all aspects of math through challenges. We will be working on our times tables during daily focused sessions. We will do this through a range of games and songs. Times tables will also be sent home to practise each week. Our focus in science will be looking at Electricity. We will be making basic circuits as well as using our problem solving skills to complete and fix circuits. We will be testing a variety of materials to see which materials conduct electricity and then using this information to make our own house alarms. Our class topic for this half term is Cities. We will be investigating the big question ‘What is life like in a city?’ The lessons will be planned around the children’s questions and interests. We will compare cities around the world and link this to different cultures. We will be exploring Christianity during RE lessons in Summer term. During Spanish we will be learning more about the Spanish culture, we will look at which countries speak Spanish and we will start to learn our Spanish numerals and colours. P.E will take place on Tuesdays, however please ensure that P.E kits are in school all week as we will also have a second lesson which will vary week to week. Homework will be given out every Tuesday and is due back the following Monday. This will consist of times tables practise and children will complete a times tables test each Tuesday. Handwriting practise or spellings may also be given. Reading at home will form the other part of homework. We are encouraging children to read at home as much as possible and will be checking their reading records daily, so please make sure these are in school every day and are signed each time your child reads at home. These will then be counted and contribute towards their 100 Reads. All children have login details for two fantastic maths resources and should seek to regularly access these at home. Thank you very much for visiting our page and please do not hesitate to come and see me with if you have any questions or concerns.